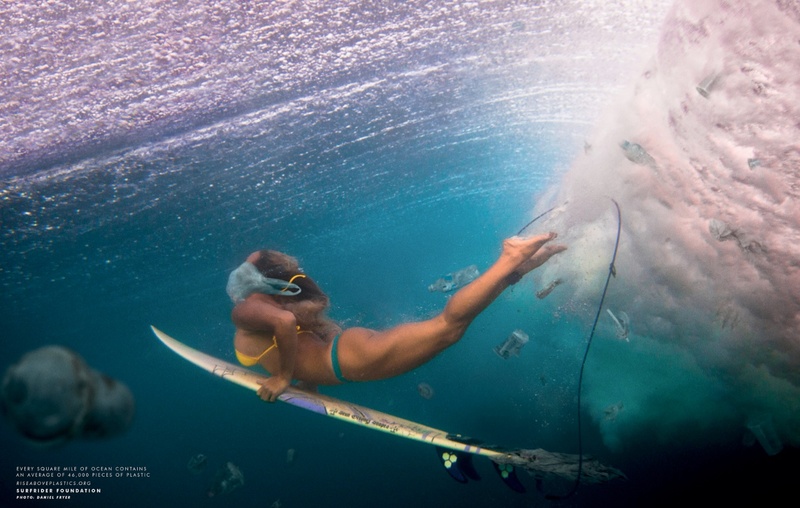 The Surfrider Foundation has launched a print advertising campaign featuring amazing surf shots with subtle references to plastic pollution of the ocean. Rather than do a typically graphic, hard-hitting campaign, Sydney advertising agency Arnold Furnace wanted the power of the campaign to come through the subtly of the executions. People are used to seeing and enjoying amazing surf shots and the agency’s plan was to draw them into the ads by emulating those. Only when they look a little closer do they see all is not well, which the facts then underline. For every pound of algae in the ocean there are six pounds of plastic. Almost 90 percent of all floating material in the ocean is plastic. 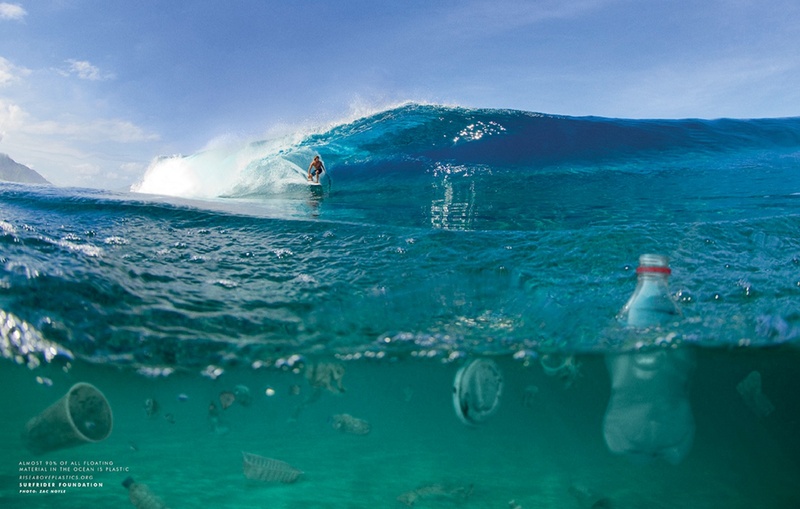 Every square mile of ocean contains an average of 46,000 pieces of plastic. 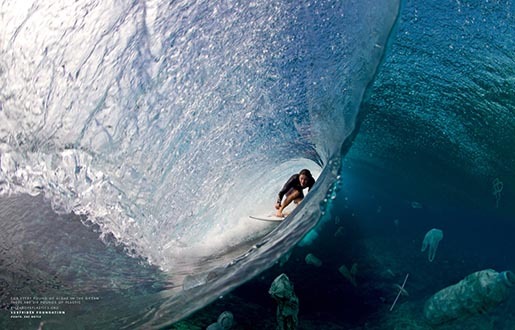 The Surfrider Foundation is a non-profit organisation dedicated to the protection of waves and beaches, with a growing network of branches and beach representatives nationwide, and over 50,000 members worldwide. The Surfrider Foundation wants people to know that the scale of plastic pollution in the ocean is out of control with some truly frightening statistics. The clean up operation would cost billions of dollars and take years as it is, but the problem is exacerbated by the fact that most of the pollution is in international waters with no country taking responsibility for it. It’s left to organizations like Surfrider to raise awareness of the issue so people can take action on an individual level. The Surfrider Foundation Waves campaign was developed at Arnold Furnace by executive creative director Tom Spicer, creatives Cameron Brown, Luke Duggan, James Galli Barrow, designer Darren Cole, producers Chris Hulsman and Warwick Nicholson, working with Surfrider Foundation director Brendan Donahue. Photography by Zac Noyle and Daniel Fryer was retouched at Cream Studios.